Hey, guys, Rachel here! 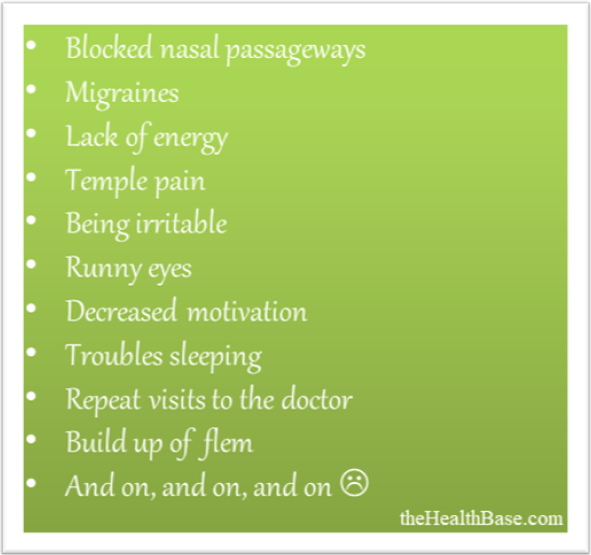 Today I am going to be focusing on facial steaming and, in particular, on the many benefits that is associated with this treatment. The benefits are actually quite numerous. However, for the sake of both your and my time, I’ve condensed them down to what I believe are the top 10 benefits. If you’ve never tried this treatment before, or if you’re interested in learning more about the technique, then hopefully this article will supply some useful information. If you have the time, you can also look at my Facial Steaming Guide on this issue. Or, if you’re just looking for a top level machine, then check out my colleague’s review of the Okachi Gliya Steamer. The exfoliation process centers around and is hinged upon one thing occurring – that being the pores on your face being open. Only by opening these pores can you then begin the process of cleansing your skin via exfoliation. Now, there are many ways to achieve this opening of pores. One such method is to have a simple exfoliating routine. You see, hot water has the natural effect of opening those pesky facial pores. Another super way, arguably the better, is to use hot mist. While water works fine, it’s been proven beyond doubt that steam is the more effective approach. The reason for this is because this hot mist penetrates more deeply and easier than water. Why? Because its super fine consistency means it far more permeable than water. This is why top quality face steamers are so coveted – because they supply the mist that takes your exfoliating treatment to the next level. Next I’ll look at how these machine work to rid your pores of all those unwanted substances. However, before you lose all hope, there are ways to remove this rubbish and restore our skin to their pristine condition. One of these proven methods is by using a steaming machine which helps in two - softening and opening. Softening: the hot mist loosens and melts a lot of that gunk and rubbish that builds up on our faces. It is then a simple task of removing it with a simple cleansing routine. Opening: as explained above, the hot steam opens up our pores which then allows us to clean them out with appropriate products. An example of such quality products can be seen in our Zenmed Review. The question, though, is what benefit does increased blood circulation provide for us? Well, most importantly, it has the awesome ability of speeding up the natural healing process. Blood circulation is a key tool that the body uses to do this – both by bringing necessary agents (like oxygen and nutrients) to the affected area as well as removing any damaged or nefarious elements. This particular benefit is very proactive when it comes to battling acne or any facial maladies that might occur. 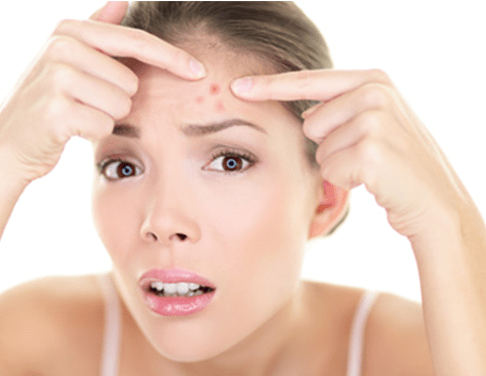 Acne; zits; pimples; rashes – all of these ailments can have the horrible effect of leaving scarring on the affected areas. However, because this exfoliation method boosts the healing process, this means that our bodies and skin will heal any damage at a quicker rate and in a more effective manner. This alone is a massive advantage that regular steaming can provide! Allergies are something that millions of people suffer from every year. The main problem with allergies is that there are so many factors that could trigger them. These factors can even affect us differently as we age – with us becoming allergic to something in our thirties that we had no problem with in our twenties. Annoying? Doesn’t really sound fair? Absolutely yes on both accounts. I myself suffer quite badly if exposed to dirt or dust. My nasal passage closes up instantly and I have to give them a thorough rinsing before they decide to go back to normal. A method that I’ve found to be super effective when it comes to combating the onset of allergies is to use a facial steamer. Top quality machines, such as the one provided by Okachi, are brilliant for clearing your nose and head. The warm mist, when inhaled, works to heat the blood vessels inside your nose. This has the result of lessening the constriction that has occurred with the arrival of the allergens. If you’re like me, and you do suffer from allergy attacks, I’d highly recommend that you give this method a go. Whether it be at the early onset of allergies, or when you’re mired in a full blown attack, a good steaming session can work wonders to clear your head and help you get back to breathing properly. The use of humidifiers is becoming more and more prominent in homes. This is because the benefits of humidifying are both numerous and hugely positive. A humidifiers sole purpose is to put moisture back into the air, thus regulating the humidity of any given environment. Why is this important? Well, our skin needs moisture in the air in order to absorb it; otherwise the skin will get dehydrated. This will then lead to a whole host of problems. Also, the lack of humidity in a certain place can lead to viruses and infections springing into life and spreading ubiquitously. The winter months are the main time when humidity can take a hit – this is due to the freezing conditions. This is why colds, bugs, viruses, and other nasty ailments are more common during this period of the year. Therefore, raising and then regulating the humidity is something that is definitely worth looking into. This is where a quality steamer enters the conversation. When in operation, these machines add moisture to the room that they are operating in. This means that you both get a good exfoliation session as well as boosting the humidity levels in your home. Overall, it’s another great health reason to own one of these machines! 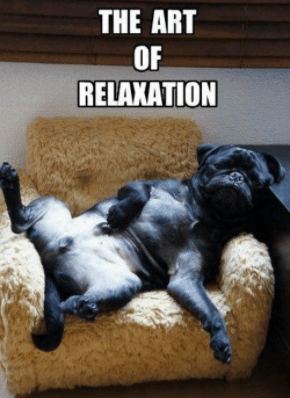 It seems that in the modern world more and more people are either forgetting to relax or else they don’t know how to. We all live busy lives that have so many different facets. It’s not surprising then that it can be quite hard not to feel swamped at times. That’s why it’s incredibly vital for both our physical and mental welfare that we take a moment every now and again to just chill out!! Now, lots of people do things to achieve this – meditating; yoga; reading; or even exercising are all common methods of unwinding. More power to this people! These are excellent methods of relaxing which I couldn’t recommend highly enough. I’d also like to add steaming to this list of options. An alternative lies in facial steaming. Such a session can be hugely beneficial in terms of relaxing your mind. The warm mist will relax the muscles of your head as well as releasing the tension that has built up there. I actually constantly drift off when I use my own machine!! I just can’t help it. After using a steamer for 15-20 mins you’ll feel like you’ve had a full night’s rest as your mind will be clear and refreshed. To even further increase the relaxation capabilities of your steamer, why not add a few drops of one of the many different essential oils that are available. These oils supply incredible benefits as well as taking your relaxing session to the next level. Though, in saying this, using a top grade Essential Oil Diffuser is always preferable than a face steamer when it comes to essential oils. If there is one thing that is imperative that you do before you apply any type of beauty or healthcare product, it’s that you prepare your face beforehand. By this, I mean that you create a canvas that will be the most receptive for the cream or spray that you intend to use. I noted before that our faces accumulate lots of different stuff throughout the day. This stuff creates a layer on our outer skin, thus blocking a product from reaching the face’s surface. In short, if you don’t cleanse yourself of these accumulative agents then it is virtually pointless rubbing or spraying any product onto your skin! As explained in Benefits 1 and 2, steaming is a fool proof way of removing all this nastiness that can build up on our faces over time. Whether it be dead skin cells; hair follicles; dirt; oil/sebum; air pollution; leftover makeup; or sun damage, hot mist will loosen these agents and aid in their removal. Whenever someone says “anti-aging benefits” everyone’s ears in the nearby vicinity visible perk up. We go into full meerkat mode. 🙂 The reason for this is simple – we all, bar no-one, want to stay looking young for as long as we possibly can. There’s no point in denying this and it’s nothing to be ashamed about! It’s natural. However, despite our most ardent wishes, aging is something that cannot be halted. It can, however, be slowed down if we look after ourselves and take certain preventative steps. 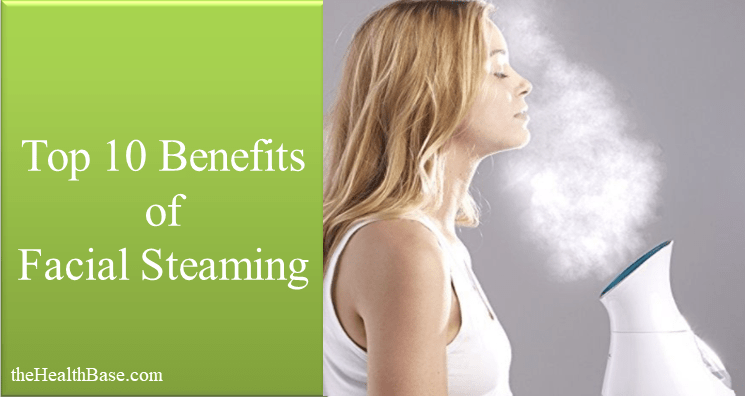 Steaming is one such step that has been proven to battle the aging process. I’ve explained how this method cleanses our faces and gets the blood circulating at a better rate. This will result in skin looking, feeling, and actually being more youthful. 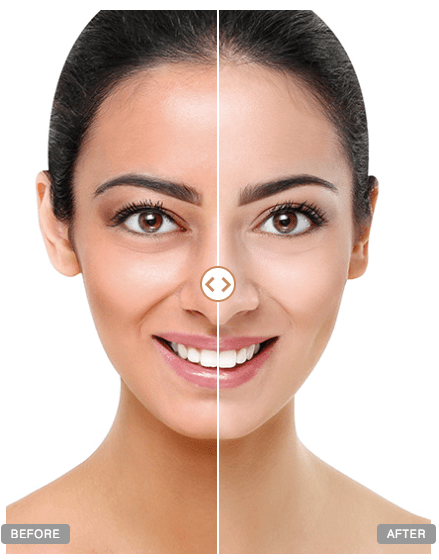 By removing impurities and revealing fresh new skin, face steaming can keep our faces looking younger and more vibrant for longer. Include a good diet and a healthy exercise regime into the mix and you’ll have people thinking that you’re lying about your age! While it may be a bit of a first world problem, having a pimple emerge onto your face is really a very annoying thing to happen! Especially if it emerges just before a night or some sort of social gathering. This seems to be constantly case – they only emerge when it’s time you want to look your best!! Typical. Steaming is a proven way of combating the emergence of a pimple. It can even solve the problem within a day! A tactic that I often use if I see a pimple or zit emerging is to immediately use my home machine. I then leave things for roughly 20 minutes, allowing my face to cool down. Finally, I apply an ice cube to the affected area – gently rubbing the cube on the pimple for about 30 seconds. I found that this tactic works wonders for both reducing the size and the redness of a pimple. The warm mist will work to bring the pus and gunk to the skin’s surface which you can then remove. The ice will reduce the inflammation. This should (and it’s not an exact science) vastly diminish the pimple. I’m always interested on hearing people’s opinions on this matter as it’s something that we all have to deal with. I’ve heard numerous differing takes and adaptions of this technique – about a dozen from the Health Base team alone!! If you have a method that works for you, then please feel free to get in touch via the section at the bottom of the page or our Contact Page. Nowadays, both men and women rely on different types of makeup to get them through a working week, or indeed a social event. Whether it be the full nine yards or simply a bit of concealer, it’s safe to say that makeup is a much relied upon tool in the modern world. However, it’s also pretty accurate to say that makeup isn’t particularly good for our skin. While it may work wonders in terms of boosting our physical appearance, it can be quite detrimental to our skin’s health if overused or left on for too long. This is because it blocks our skin’s pores and prevents our faces from breathing and receiving needed nutrients. Now, the vast majority of makeup users understand the necessity of removing ones makeup at the end of every day. People use facial wipes and/or warm water solutions to achieve this. However, in saying this, a lot of people don’t realize that this mightn’t be enough. Because makeup can get deep into pores, a simple cleanse or wipe might not be enough. This is where steaming can be hugely beneficial. as it opens up your pores to the absolute maximum level – thus ensuring that you can then fully exfoliate your face. This is a super effective way of ensuring that you’re removing all that makeup that has buildup over time. Even the stuff that mightn’t be visible to the naked eye. That brings an end to my article in which I focused on the top 10 benefits that this exfoliation method can provide. As you can see, the benefits and positives that go hand in hand with steaming are quite numerous. It really is one of the top cleansing and exfoliating techniques out there. Not to mention one of the most enjoyable ones. If you think this topic is something that you’d like to know more about, then why not check out our comprehensive guide on the issue - thehealthbase.com/best-face-steamers/. Or, also, have a look at our Okachi Gliya Review in which we discuss what we believe is the premier machine on the market today. P.S. If you liked what you have read and want to further expand your knowledge on the area of facial steaming, then why not check out our related posts below. We will be adding new posts periodically. Well hello there! My name is Rachel and I hope you enjoy reading my contributions to The Health Base! I have been working in the health and beauty industry for nearly ten years now (where does the time go?!) so I've a tonne of knowledge to share with you guys! If you want to know about a specific subject, please feel free to get in touch with me personally by clicking here. Chow for now!